With Easter being a month away (can you believe it?!) 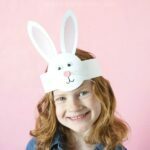 I wanted to get some early Easter crafting done to share some new ideas with you this year. 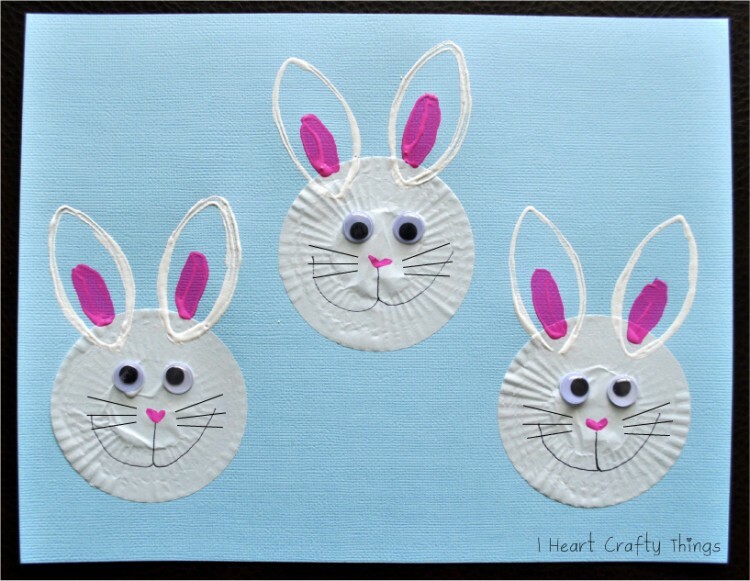 We started with our cute Bunny Card yesterday and today I’m sharing how we made this adorable bunny craft out of an envelope. 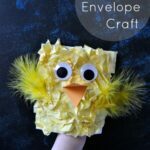 I love how the envelope is an everyday item found in the home and that it’s the perfect size for toddlers and preschoolers to put their little hands in to play with their craft. 1. Start by sealing the back of your envelope and then cutting it in half. 2. 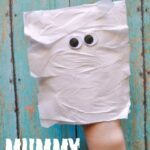 Cut some of your light pink tissue paper into squares. 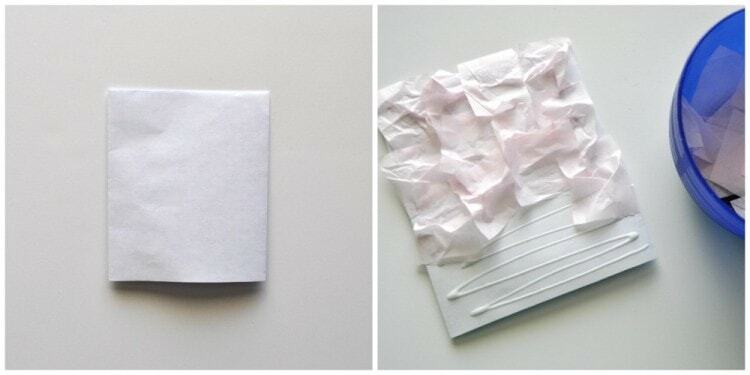 Put some glue all over the front of your envelope and cover it with your tissue paper squares. 3. 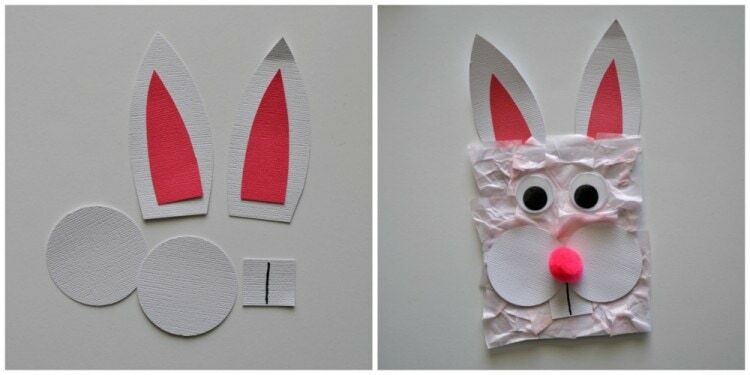 Cut bunny ears out of your white and pink cardstock paper and a square for the teeth. Also, cut two 2-inch circles out with your circle punch. Use your black marker to draw a line down the middle of your square to make your bunny teeth. 4. 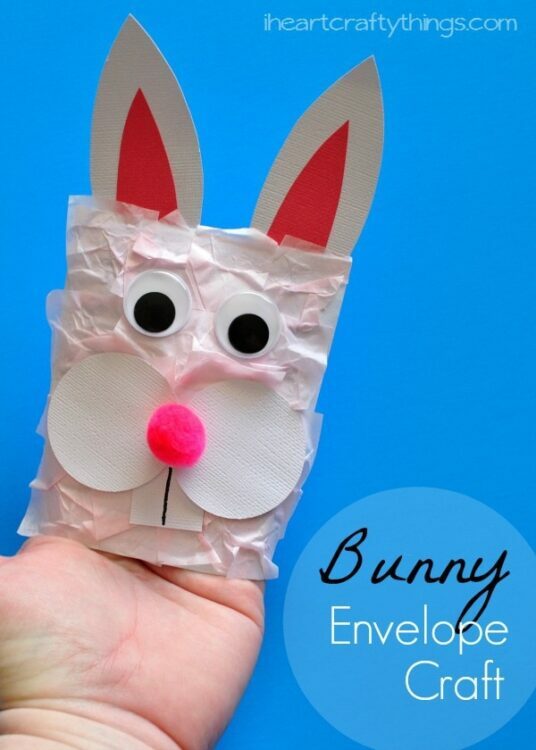 Glue all the pieces onto your bunny envelope, together with large googly eyes. 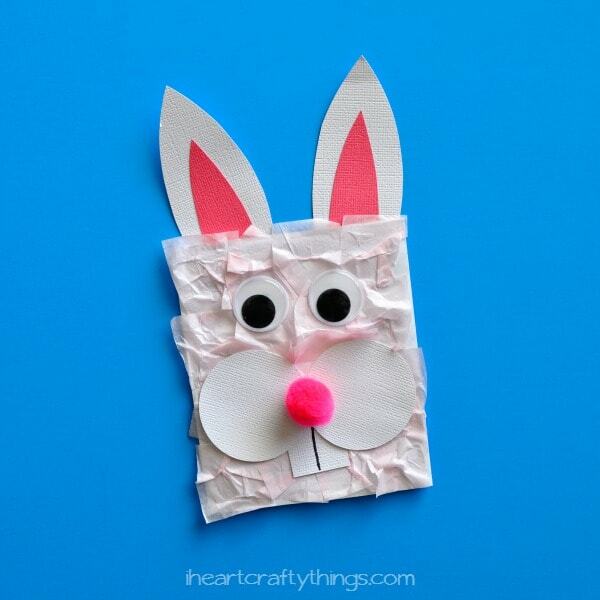 Let it dry completely and then your child can put their hand inside the hole to show off their cute bunny. 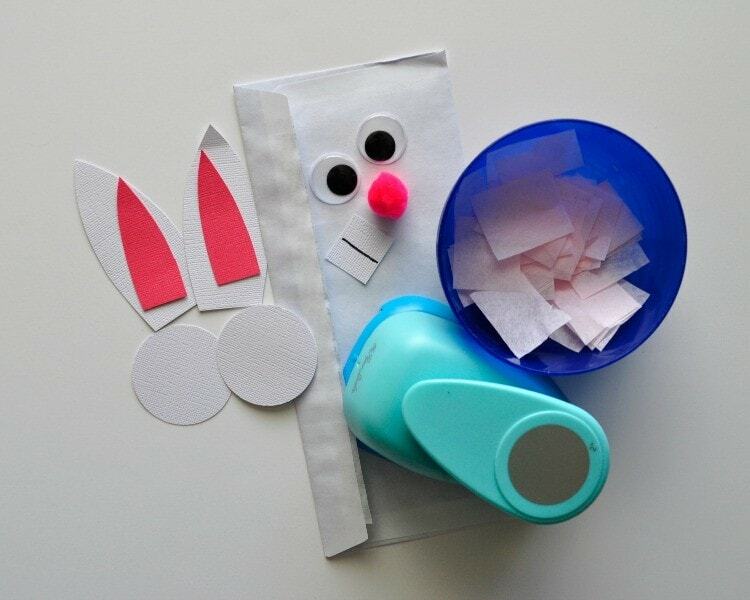 I am LOVING these envelope critters!